As per seller, the boat is excellent condition inside & out. The vessel has a great bottom and we're told no leaks. New brass 11x18 prop, cutlass, shaft flex coupler, and new through hulls, new fiberglassed motor stringers. Seller has receipts for most new items. We're told rigging is in great shape, along with spreaders, stays, turnbuckles. The boat was last sailed 2017. Ready for new adventures! Stock #162080 Excellent condition Paceship, design by C&C, brand new Westerbeke! Fresh water only! Like new mainsail! New auto helm, bilge pump, bronze prop & more! If you are in the market for a sloop, look no further than this 1970 Paceship 29, just reduced to $12,500 (offers encouraged). 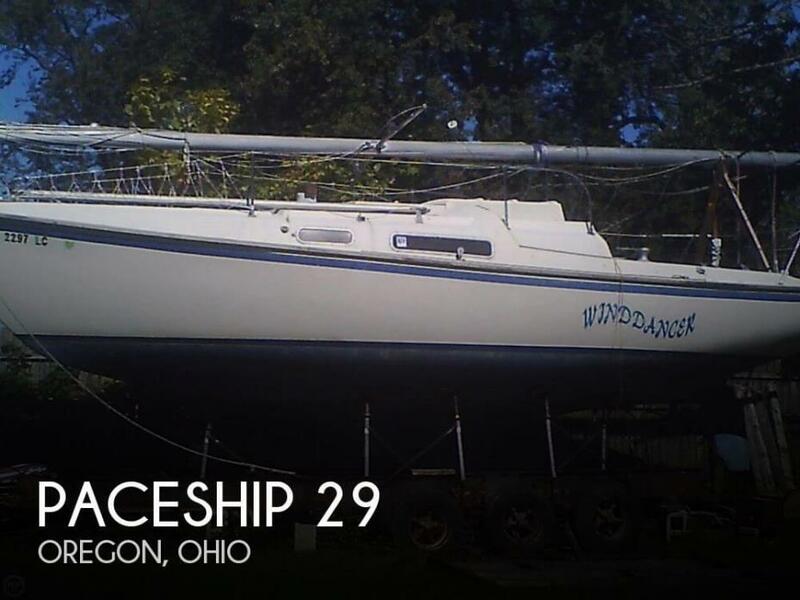 This sailboat is located in Oregon, Ohio and is in great condition. She is also equipped with a Westerbeke Diesel engine.